Can you spare the price of a pint or coffee to help children in the dwarfism community? 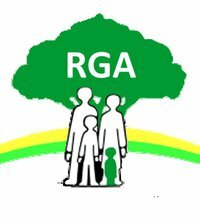 As ​many of our ​supporters know, the annual RGA UK Mega Weekend (click here for last year’s) is a truly special occasion – bringing together people with dwarfism and their families for a long weekend, packed with fun activities, informative workshops, and opportunities to forge lasting friendships with others in the community. Around 200 people with dwarfism and their families attended last year’s event. This included specialist medical seminars with leading experts, lessons on how to alter clothes, ​games and skill sessions for children, and much more. For several years now, we’ve been fortunate enough to receive support from Children In Need to subsidize children’s places at our events – allowing them to come for free. Unfortunately, this year our application for Children In Need funding was not successful​.​ Sadly, this will affect the prices we must charge our members to attend our 2018 Mega Weekend. Such events ​always ​​cost and, w​hile we always strive to keep them as low as we possibly can, we must inevitably pass​ on​ some of these costs to ​members of our community. We are a small, grassroots charity that endeavours to be very careful with our limited finances, and relies heavily on grants and generosity of our supporters. This year, for the first time ever, we are asking for outside help. We ​’​re hoping to raise up to £5,500 so children ​with dwarfism and their siblings can come to this once in a year event at the lowest price possible, in order to reduce the cost we put onto families in our community – some of whom are in challenging financial circumstances. • £5,500 raised – reduces children’s fees by 100%. The world is often not always an easy place for people with dwarfism. Studies among people in the community showed nearly 80% had been subjected to verbal abuse, nearly two thirds often felt unsafe while out and about, and over one in ten had experienced physical violence. These events are especially important for children with dwarfism – some of whom may be struggling at school, trying twice as hard to be just as good as average height peers, finding their place in the world as people who are so visibly different. Such events – and the chance to meet ​and forge friendships with ​others with similar bodies and experiences – give our kids the opportunity to anchor themselves within a wider community. RGA UK is like a family​. So we believe it’s important to include siblings of children with dwarfism – who may receive less attention than their disabled sibling or who may find themselves needing to support or stand up for their brother or sister at school – so they feel part of our community, too. We hope you will consider donating​ -​ ​t​he price of a pint or takeaway coffee will make a ​big difference ​– to help us to ensure children with dwarfism and their siblings can come to this wonderful event where they can feel part of something special, grow in self-esteem and confidence, learn new skills, and make friendships that can last a lifetime. We ​know it’s a lot to ask. We have not made this decision lightly. Thank you for your kind support and generosity. For further information please email convention@restrictedgrowth.co.uk.